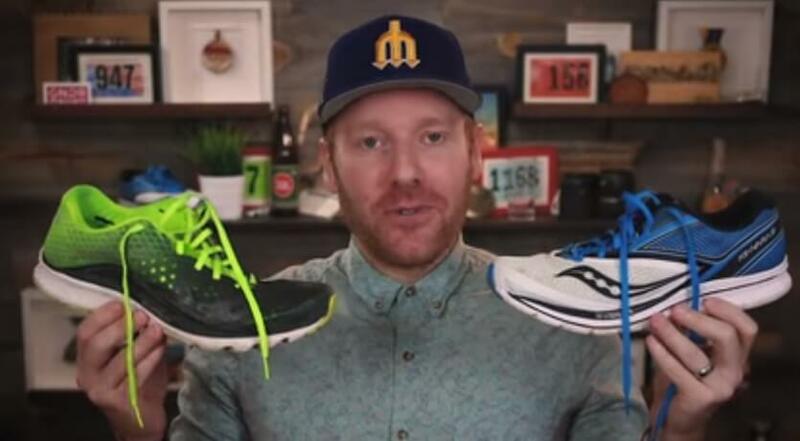 what is up everybody today in this review I will acknowledge that I started every review with some level of excitement in this case you might be more excited than I am about today’s shoes from saucony the conveyor 9 already thrown some shade seems that every year sometime in mid-april I dropped my review of Sokka knees latest and greatest version of the kinvaras except for last year and a couple of years ago. 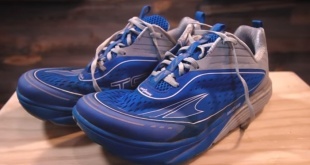 we’re back with the newest latest and greatest hottest new version of the shoe that I’ve probably logged more miles on than any other road shoe the conveyor version 9 yeah I’ve seen this shoe change a lot over the years in dramatic ways interesting. these are the things I like and dislike about the conveyor 9 let’s talk about how the shoe has changed there are changes to the mesh upper seems to be a softer stretchier mesh more comfortable the pro lock across the mid foot seems to have a bit more stretch of course different welded overlays woven heel support a little bit reduction in weight there as well different placement of rubber elements in the outsole and the flex screws of change location and a nice result of all of the changes it’s lighter by 0.2 ounces in my size size 11 goes from 8.9 to 8.7 so what might feel and look fairly familiar especially coming from the conveyor 8 there’s actually a number of changes from the previous version that does not always bode well for a shoe going up a version and in this case that is the case I still prefer the conveyor 8 let’s find out why! as I’ve mentioned over the years when reviewing that kinvaras a lot of the likes and dislikes from the previous version will carry over into the new version so feel free to go check out the previous reviews just to see how the shoe has evolved over the years but of course this shoe has some specific likes and dislikes let’s get on with those starting as always with things that I like about the sock and you can borrow 9 the new upper this new mesh is softer it’s really comfortable it seems to be holding up quite well durability my initial thoughts were skeptical I thought the the mesh wouldn’t hold up well with the elements here in the Pacific Northwest but so far it’s been doing quite well not noticing much wear and tear despite the fact the shoe is white which I really dislike it’s remaining fairly clean so the mesh upper the welded overlays the new woven heel and ankle materials here all very nice very comfortable the new upper is a significant improvement new outsole don’t mind the mud a new addition are the rubber outsole elements here on the lateral forefoot one thing I’ve been harping on with kinvaras since version 1 was just the lateral durability of the shoe in this case they’ve added a couple of rubber elements up there in the forefoot which is getting a lot of wear and tear anyways it’s nice to see those elements added to contribute to the shoes durability they don’t contribute a lot to the weight they do help when they need to which brings me to my final like! weight the shoe is lighter I will always reward a shoe for being lighter unless of course it’s a detriment to the durability or the comfort of the shoe but in this case the shoe lost point two ounces eight point seven ounces it’s in that light category and for a shoe that can go the distance that’s a good thing anytime the conveyor loses a little bit of weight no matter how insignificant I will give them a high-five thumbs up and a smile.